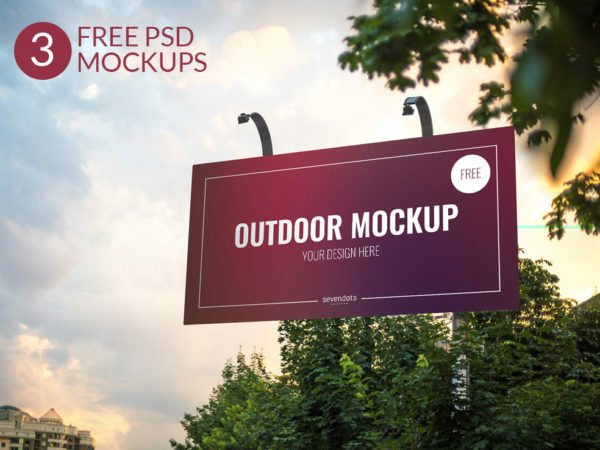 Download Free Outdoor Advertising Signboard and Macbook Mockups. Display your poster design on this billboard and macbook mockup, just placing your design in smart layer. 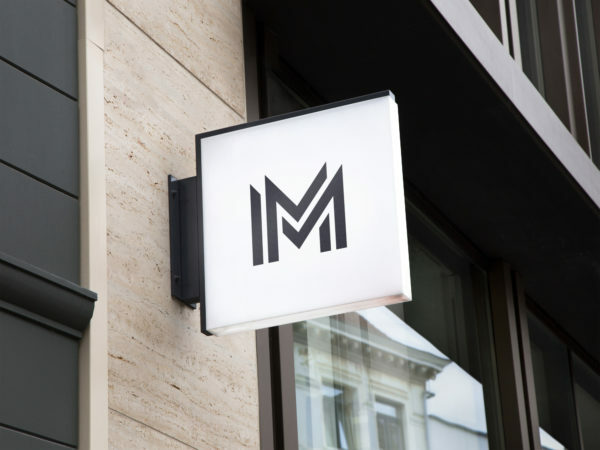 Good work done by Seven Dots . 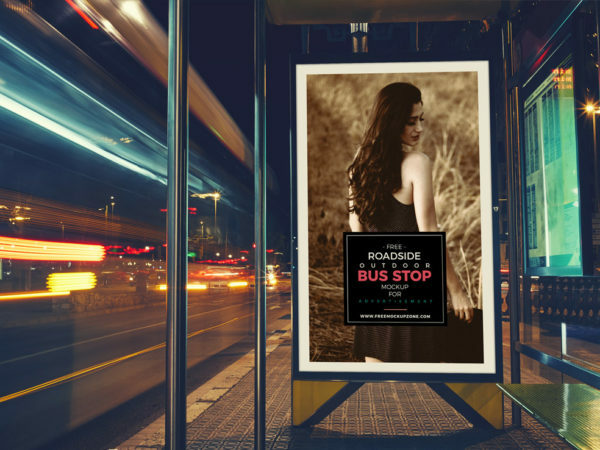 Download Free Roadside Bus Stop Billboard Mockup. The high quality Mockup comes as a PSD, it’s based on smart objects making it really easy for you to place your art work. Good work done by Free Mockup Zone. 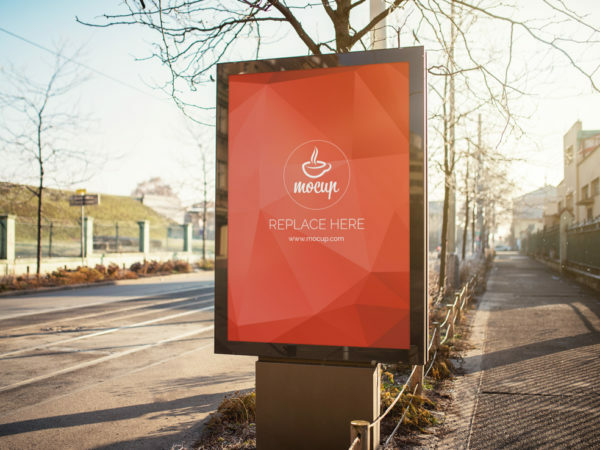 Download Free Bus Stop Advertisement Board Mockup. 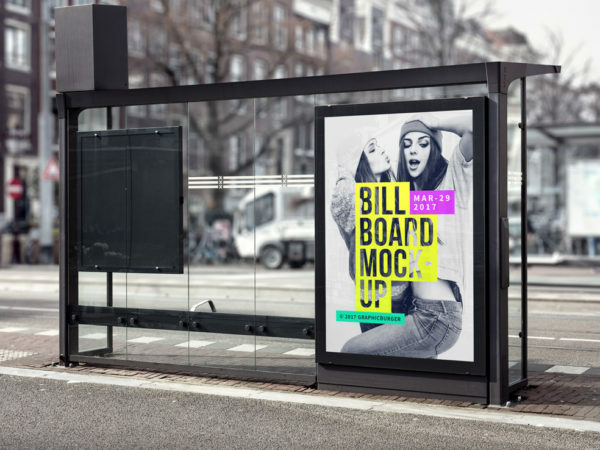 Display your poster design on this billboard mockup, just placing your design in smart layer. 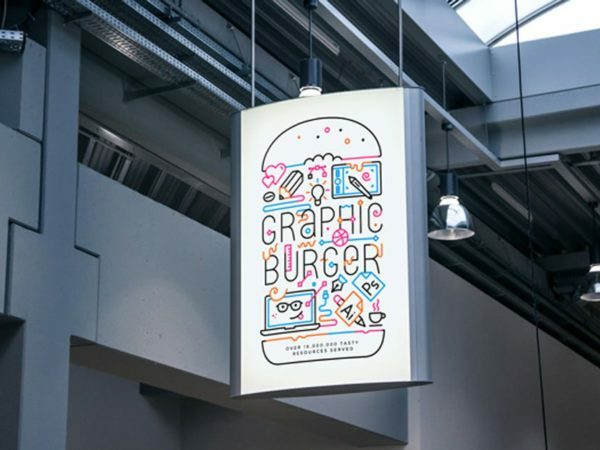 Good work done by Graphic Burger. Download Free Outdoor Advertisement Billboard Mockup. Perfect for all kinds of posters and advertisements. Use the smart layer to insert your designs. Great work done by Sellfy. 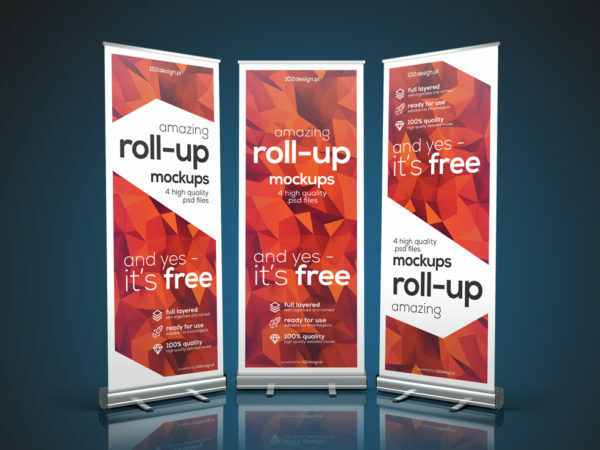 Download Free Realistic Roll-up Banner Mockup. This PSD mockup is well layered with three smart objects so you can present your design in a realistic way. Thanks to Sebastian Laskowski. 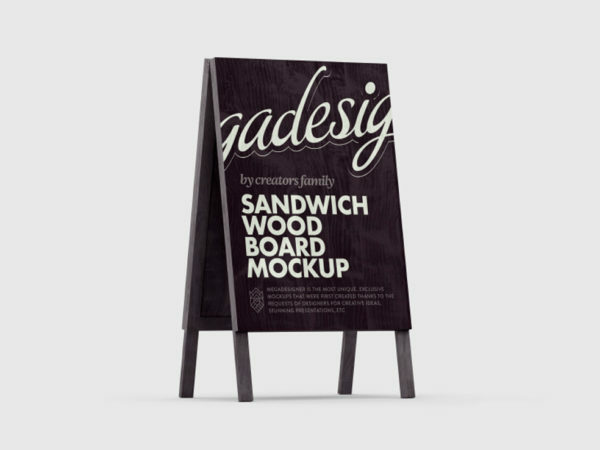 Download Free Advertising Sandwich Board Mockup. Best for campaigns, product placement, and branding. You just need to double-click the Smart-Object, paste your artwork and Save. Mockup by Mega Designer. Download Free Hanging Circle Shape Sign Board Mockup. Showcase your Own Business Branding or logo using with smart object in photoshop. Good work done by Graphics Fuel. 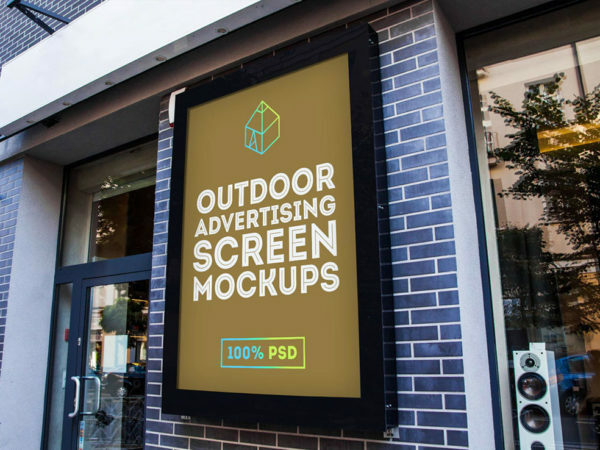 Download Free Outdoor Advertising Billboard Mockup. Smart Object layered to allow you to replace the screen with your own Design. PSD dimensions is 3088×2056 px. Download Free Indoor Advertising Board Mockup. Use the smart object to place your design. Dimensions is 3000×2000 px. 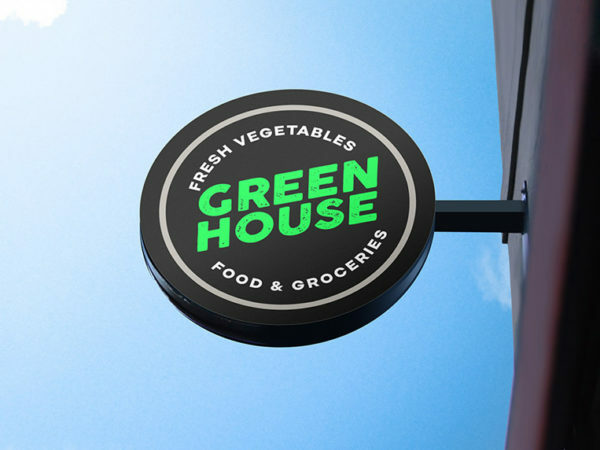 Download Free Hanging Square wall Sign Board Mockup. This Free Mockup is Layered and high-res PSD file 4000 x 3000px with smart objects. 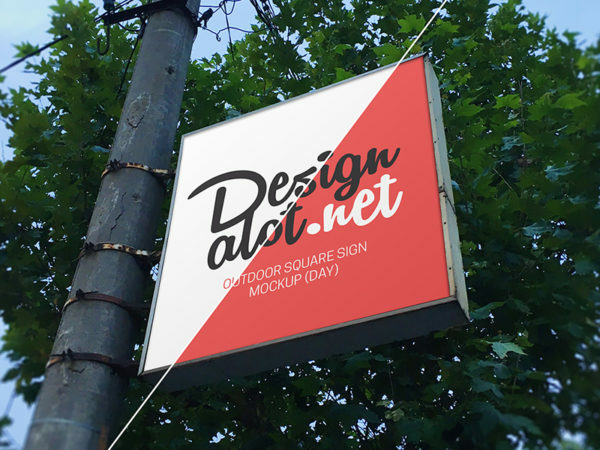 Download Free Square Advertising Billboard Mockup. The high quality Mockup comes as a PSD, it’s based on smart objects making it really easy for you to place your design. 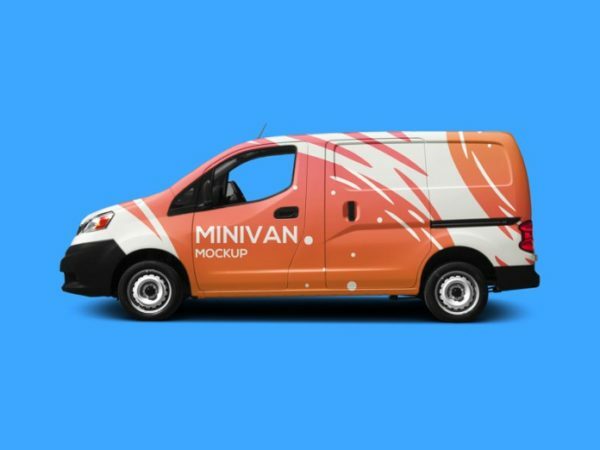 Download Free Commercial Minivan Mockup PSD. Just add your design via the smart layer and change the background color.